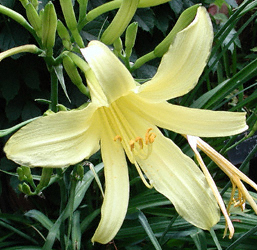 Flower color: pale lemon yellow. Bloom time: July-Aug. 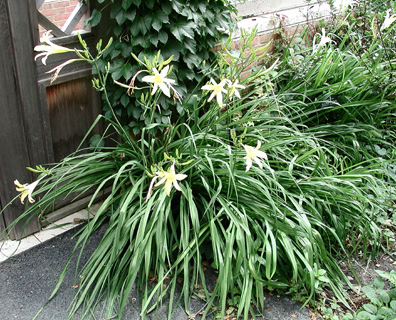 Attributes: star-shaped, pale yellow flowers.